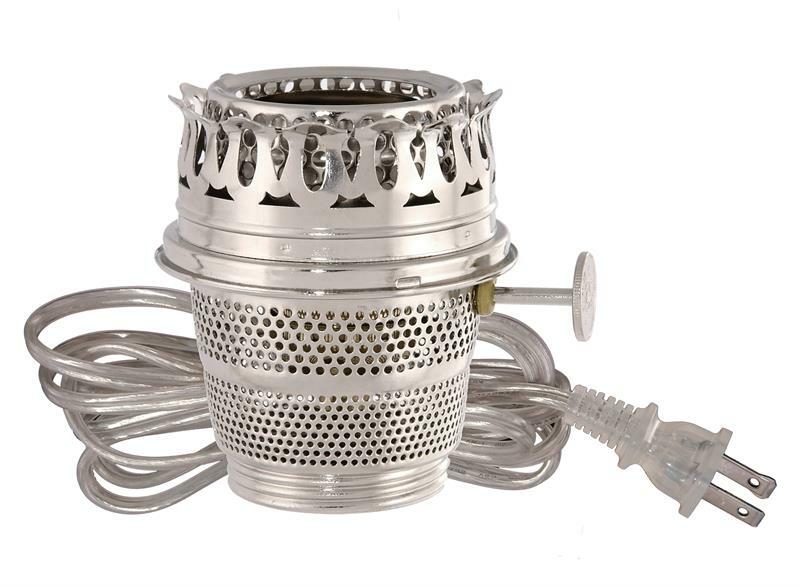 Nickel plated Solid Brass Electrified Burner* designed to fit Aladdin® Brand Lamp models A, B, C, 21, 21C, & 23 and all Glass Models*. Also designed to fit Aladdin® Brand chimneys, tripods, and shade holders. Assembled with U/L approved components. Comes w/8 ft. cord set.